Castle Party Rentals offers a large selection of inflatable moonwalk rentals. With locations throughout the Chicagoland area, including Elgin, Chicago, and Naperville, we are able to deliver a variety of inflatable moonwalk rentals ranging in sizes, shapes, and themes. Elgin moonwalk rentals are very affordable and attractive. Similarly, Chicago Moonwalk Rentals are bright and colorfull. Naperville Moonwalk Rentals have the bounciest bouncer rentals in Illinois. If you are looking for moonwalk rentals, then you have come to the right place. If you have having difficulty picking a moonwalk rental that best suites your party, feel free to give one of our party planners a call. We are here to serve you! 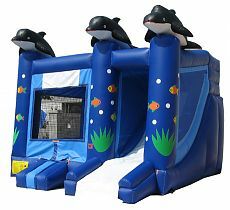 The Mega Fortress Castle Moonwalk rental is very popular due to its affordable price and fun castle-shaped appearance. This moonwalk rental is available at all three Castle Party Rental locations inclucluding Elgin, Chicago, and Naperville Illinois. Chicago Moonwalk Rentals were the first inflatables of the industry and there is nothing more fun than classic bouncing and jumping in these fun moonwalk rentals. Please notice that our Chicago Moonwalk Rentals are the largest sized in the inflatable rental industry. Castle Party Rentals is known for having the bouncieset moonwalk rentals in Illinois. The Medieval Castle Moonwalk is a popular rental because it can appeal to both boys and girls due to the Princess and Knight on the pillars of the Castle. This moonwalk was hand painted throughout and has many wonderfull images throughout. Even the safety ramp of the moonwalk is painted. This moonwalk is also very nice-sized and will provide tons of bouncer fun for hours. Did you know that in the Midwest these inflatables are known as moonwalks, while the East Coast calls them Bounce Houses, and the West Coast calls them moonjumps? So no matter what you call them, moonwalk, bounce house, or moonjump, they're guaranteed to bring lots of fun. The Strawberry Shortcake Licensed Bounce House is back by popular demand. Your daughter and guests are sure to fall in love with this brand new addition to the Castle Party Rentals family. This jumper is great for children of all ages. It doesn't take up a lot of space, but still offers a great amount of jumping capacity. Make your children's Birthday Party Incredible with this latest Incredible bounce house rental. This inflatable jumper has room for the whole gang, including Mr. Incredible, Elastigirl, Violet, Dash, and Jack Jack. Your kids will truely enjoy the presence of this fun and entertaining moon bounce. Go-Go Power Rangers! The power rangers have been a favorite to children for many years and why not celebrate the ocassion with a Power Rangers Licensed Jumper Rental. This inflatable bouce house is equiped with a safety ramp as well as an attractive Power Rangers banner. Many kids can Power Rangers on their mission against evil with this latest moonjump. Lilo and Stich are back at it again. Join the adventure on the Disney Licensed Lilo and Stich Moonwalk. It's a lot of fun and feautres beautiful graphics from the movie. Kids love to jump around so why not rent this bouncer for their birthday party? It's fun, affordable, and will entertain for hours on end. Our newest addition to our character jumps, Sponge Bob is sure to keep the kids entertained for hours on end. Sponge Bob is one of the most popular characters, so make sure to book this bounce house early. Just Keep Swimming! Nemo and all his friends are back and ready for an adventure. This bounce house has beatiful graphics of Nemo and his favorite movie friends. This is also one of our latest character theme jumpers that is quickly growing in demand so make sure to book early! The Red Turret Castle Moonwalk is a very attractive bouncer rental. Recently added to our inventory, the calls just keep flying in about renting it. If this is an inflatable that you really like, then make sure to book in advance, because it books up really quickly. Kids love Chicago Moonwalk Rentals because they are very bouncy. This jumper utilizes new netting technology so that children cannot get their fingers stuck in the netting. This new netting technology on the bouncer also allows for easy parents supervision. Safety is our main focus at Castle Party Rentals and we will continue to offer safe Moonwalk Rentals throughout the Chicagoland area. Although the Kingdom Castle Moonwalk may just seem like your standard multi-color inflatable castle, it's not! This castle moonwalk has the tallest bouncing platform in Chicago and hence is the best moonwalk rental in Chicago. The taller the bouncing platform, the taller the kids will be able to bounce. Also, if you are looking for a teenage or adult jumper, we would suggest this one, because it is the largest in height, length, and width. This inflatable bounce house has really tall turrets signalling the location of your party. Don't miss out. Rent this inflatable moonjump today! This moonwalk rental is perfect for Daddy's little princess. The Disney Princess Castle Moonwalk features princesses from your daughter's favorite movies and is sure to leave a lasting impression upon her. She will be very thankful for the inflatable princess palace that you rent for the special event. This bounce house rental is also a little bigger than the ones above so plan on inviting more children to the Chicago Moonwalk Party! Castle Party Rentals staff makes sure that all inflatables are sanatized and disinfected before they arrive to your location. There are a lot of princesses in Chicago, Elgin, Naperville, and surrounding cities, so make sure that your princess doesn't get left out! Rent this very party moonjump today. The Pink Princess moonwalk is our newest princess moonwalk. It's beautiful! The Disney Princess moonwalk is also one of our newest princess moonwalks. Your daughter will love it! Hop aboard the Black Pearl with Captain Jack Sparrow. If you enjoyed the Pirates of the Caribbean, then you will love this inflatable moonjump rental. This bounce house is a great size for your child's birthday party or your school's special event. Castle Party Rentals strives to provide our customers with many different options for a variety of parties, events, and celebrations. If you don't see something to fit your theme, chances are that we have it in stock, but it has not made it onto our website yet. If you choose this as your Chicago Moonwalk rental for your next event, you will be very satisfied. The Race Car Inflatable Jump rental is the fastest bouncehouse in Illinois. Each year at the Inflatable Fair, it defeats all its competitor inflatables and has been given the name Speed Racer Champion. If your children enjoy Disney Cars or Hot Wheels, then this may be the best option for your child's birthday party. This jump house is rectangular shaped so if you have a tight space inwhich you are trying to fit your inflatable jumper rental, then this may also be the solution. Many times Good Year Tire Stores will rent this inflatable for advertisement and place the jumper along side a busy street to get attention to their dealership. This Chicago Moonwalk Rental is very different than all of the other inflatable bouncers in the party rental industry. With this bouncer, you get to jump on a Tiger's Belly. This very cute inflatbale bounce also makes for great pictures. Please understand that the tiger does not mind you bouncing on his belly, however, does not appreciate climbing on his head. This tiger belly bounce enjoys traveling around the entire Chicagoland area, making stops at our three warehouses in Elgin, Chicago, and Naperville. This is the only Chicago Bears inflatable rental in Illinois. Castle Party Rentals had it custom designed for our die-hard Chicago Bears fans. Nothing describes Chicago more than Chicago Bears Football. Since this is a sports combo inflatable, there is also a basketball, a soccer ball, and a tennis ball atop the inflatable bounce combo. This combination of fun includes a jumper, slide, basketball hoop, and climbing wall. The kids love engaging in the various activities that it has to offer. We highly suggest that you upgrade from a moonwalk rental to an inflatable combo rental. A few extra dollars and your kids will be able to experience a whole new level of inflatable thrills. The Perfect Princess combo has 3 great features: 1. It's very big and can fit lots of kids inside. (2) It's very affordable. (3) There are lots of activities like a jumper, slide, basketball hoop, and climbing stairs. If you're looking to throw the perfect party for your princess, then the Perfect Princess combo is the perfect choice. This unit is brand new and will be available starting the June 13th weekend. The Sea World 4 in 1 Combo includes an inflatable bouncer, slide, basketball hoop, and a climbing staircase. Inflatable combos are highly recommended for the younger age group, although older kids are more than capable of enjoying themselves upon this inflatable attraction. There are hand painted fish, bubbles, and other ocean life throughout the inflatable bounce combo. Bring the Ocean to your backyard with this Chicago moonwalk rental. Combos are growing quickly in popularity within the moonwlk rental industry, not only in Chicago but throughout th United States. The Pretty Princess Castle combo is a delux combo. Looking at its dimensions you will see that it is huge. If your princess deserves the best, then they surely deserve the Pretty Princess Mega Combo which features a huge bounce area, a tall climbing wall, and a fun slide. This inflatable combo comes with a safety ramp for easy access and exit. Remember that Castle Party Rentals is dedicated to providing safe inflatable attractoins for your next children's event. We meet all safety requires, have obtained proper certification, and and are fully insured. The Brave Knight Combo ranks high among the top inflatable choices for boys. What boy hasn't dreamed about being a hero and slaying a dragon? I know that I surely have, but instead I'm stuck being a web designer. Each one of our party rental locations carries this inflatable in stock due to its popularity. So whether you want to rent this inflatable moonwalk near Chicago, Elgin, or Naperville, we will make sure that it gets to your party.